For a kidult as I, display “a Kozik” in the wrist is as wearing a Breitling Hublot or: simply is the must. 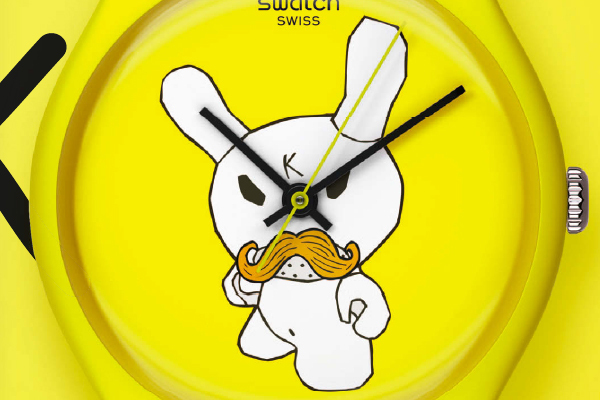 Time passes differently when Dunny and his mustache are those who give you the time. Even the dead time is filled with life, color and laughter. 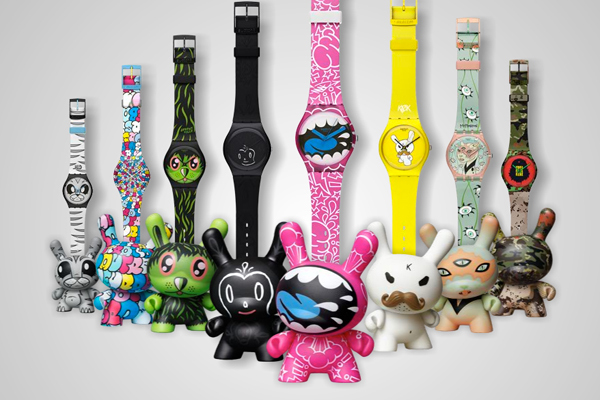 The collaboration between Swatch and Kidrobot is the most refreshing thing that has happened to the watch brand in recent years. 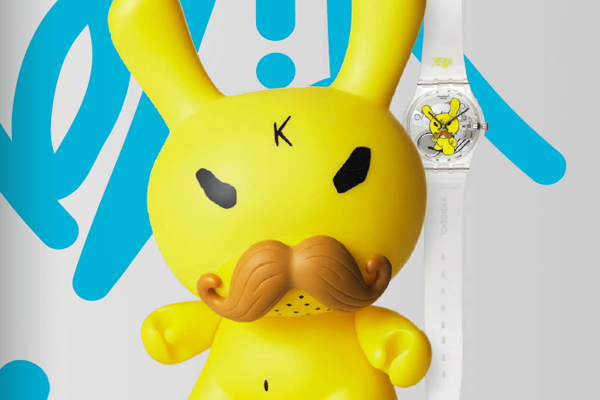 Paul Budnitz, founder of the legendary brand of limited edition art toys, has put his kids to work resulting in a collection of watches and thugs as fresh as their authors. 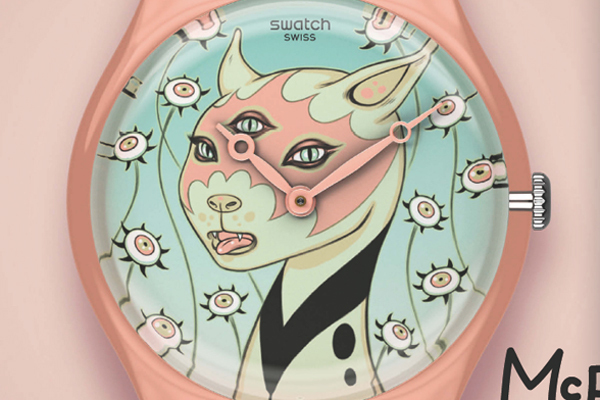 Among those chosen to tune the Swatch plastic watches we found artists and graffiti makers from the likes of Frank Kozik – Madrid Designer based in the USA created the brand of art toys Ultraviolence – Gary Baseman – father of the award-winning television series Teacher’s Pet and illustrator of Cranium - Jeremyville – author of “Vinyl Will Kill“, the first book about toy design – or the New York artist Tara McPherson, creator of the Mutant Space Gamma Series. The dream team of pop art. 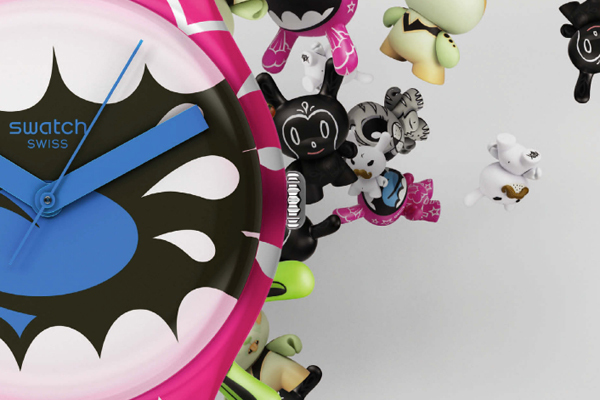 And last but not least, some models come with a corresponding customized vinyl toy. Who could ask for more? Absolutely not!